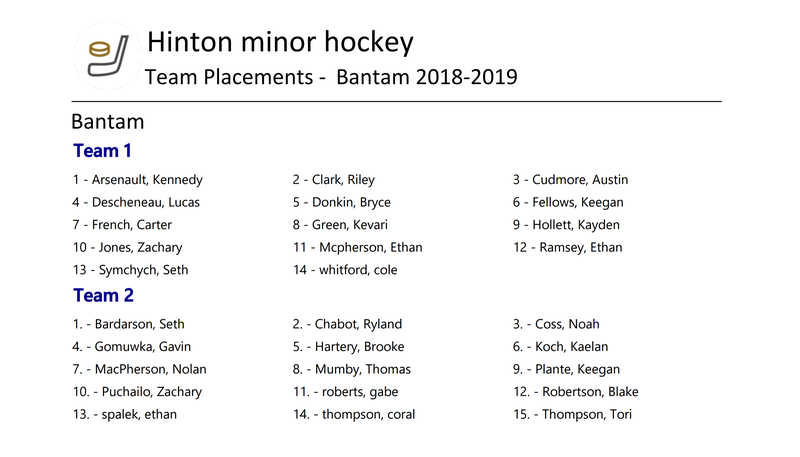 Please ensure that you refrain from contacting any Hinton Minor Hockey Executive Member for a minimum of 24hrs in regards to your childâ€™s placement. These placements are final. Impartial Evaluators were utilized and no changes will be made. Enjoy the Season!